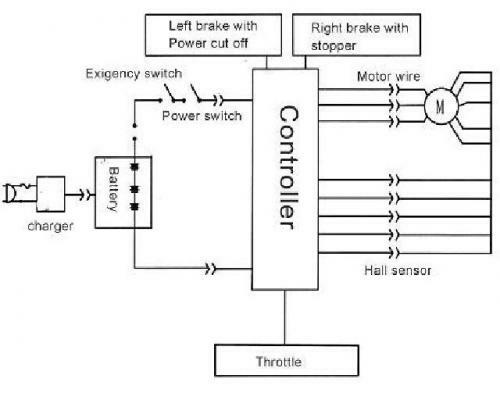 Has anyone modified a China Brushless Hub Motor Controller to increase performance? Members want to know has anyone modified a China Brushless Hub Motor Controller to increase performance? Is this a particular model, or just Chinese brushless controllers in general? Either way, you can upgrade almost any of them unless they're potted. I haven't seen the insides of that particular model, but if you open it up and check the numbers on the parts, you can determine how much voltage / current it can safely take. The FETs can be upgraded for increased power, but that's a fair amount of work. Most of these controllers use a shunt to measure the current, and the shunt can be modded to increase the current limit. You just need to check the parts ratings so you don't just blow it up the first try. Plan b would be to get a Crystalyte controller. I'm hoping that modified versions of these will be available soon. Thanks a lot, do you have a link or model number for the Crystalyte controller in plan b? Fechter thanks again, but I'm still a newby at doing any kind of mods. What am I looking for? I see several Controllers and don't know which one I should get. I probably want one that can go over 48 volts, just in case I latter increase my voltage. A model number etc would really help. The 72v, 35amp ones are the best. Somewhere they sell a 40 amp one. The 36v, 48v, and 72v versions are essentially the same except for the low voltage cutout. I have a Brushless CPU Controlled Motor and Pulse-Width Modulated Controller, and wanted to know what they exactly were and how they work, but I think I figured it how based on the explanation Chas gave me. I'd really like to see a EV Collaborative Hand Books on both, for those of us that don't know Jack. It really helps a person understand what is or isn't possible, and how they are suppose to work. If you want to make the scooter go faster, I would suggest figuring out exactly what the rating of the existing controller is. This means using an ammeter or DrainBrain type thing to actually measure the current while under load. The system voltage is easier to determine. Next, (being cheap), I would open up the stock controller and look up the part numbers on the big parts and try to determine if there's any headroom in the ratings. Many times a controller can be modified for more output without blowing up. Many times it can't. I plan on doing that today, and try and take some pictures. I also requested a wiring schematic from Luyuan, not holding my breath for it though. There is a XDY48V041110595 number on the Controller, everything else is in Chinese. Well Luyuan sent me this, and is asking if I need more. FWIW, If I understood him correctly, both will handle over 48 Volts? I asked what it would handle, so that seems to have gotten lost in the translation. what electric schematics do you need? a motor power schematics? like the attachment file? the controller and hub motor is 48V, the highest voltage close 60V. but if use 60V, the highest voltage about 75V, it will damage the conteroller and hub motor. what handle do you need? What I gather from that datasheet is the motor is a 48v, and limited to something less than 15 amps. I can see why you might want to boost that. You could ask them for a schematic of the controller. A schematic of the insides, not just the hookup diagram. I doubt they would ever release that even if they had it, but it's worth asking. If you have a drainbrain or some kind of ammeter, you could measure the actual current under acceleration. I would trust this 100 times more than their stated specs. Next step in my book is to open up the controller and check out the innards. For what it is worth, I did modify a Cheap chinese controller that looks a lot like yours and basically, I got a lot more speed and usability out of it. A poster named Mathurin up in Canada did it first but he blew his to smitthereens, Ahhh to be young again. HOWEVER, I have to be careful not to allow it endless current draw like up a mean hill. I did blow it up once just taking the worst hill in down and let it load down to 5 mph when it popped... melted a solder trace. I am careful now to pedal on the bad hills and I am fat so I need the exercise anyway. I have been riding this thing a couple of times a week for the last 9 months and it has been a blast.. Whole setup was 150 bucks plus 40 for shipping. Been a great introduction to ebiking. Will probably go the Crystalite route next time. Note how thin the solder was on the power traces. First attempt at the Mathurin mods. On the Coil and sensor wiring replaced connectors with Molex .092 for the coil and .06 for the signal wires. Underside of controller. Could be cleaned up some more but it is better than before. Basically your doubling the size of the current shunt and fattening the traces to the FET's. The experts on here can advise you. The whole premise is probably not real wise but I have had a great return for my efforts. YMMV!!!!!!! Before you mod the controller you'll need to decide what kind of performance increase you want. More amps = better acceleration/hill climbing. The limitation of the motor is that there is 4 times as much energy in heat for double the amps, or the amps squared in heat energy to dissipate. 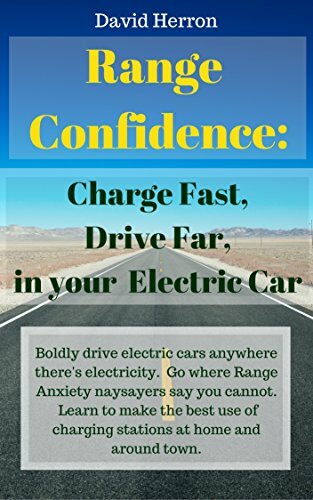 More voltage = higher top speed, and possibly better hill climbing/acceleration when the current limit is not being met, i.e., a not-so-steep hill, or better acceleration in the upper speed range. You can also increase the controller voltage and lower the gearing to get better acceleration/hill climbing without increasing the amps and this would make the motor run cooler. If you don't care about your controller, or will buy a new one if it blows up than you could try a small voltage increase. There are 2v, and 6v batteries available which you could add in your series string to the controller input. The controller might still give a decent life. This could be the easiest mod requiring no controller work. I'd recommend doing this first if you are considering buying a new controller anyway. Though the current looks like it might be a bigger limitation. And the added battery will have to be charged separately. Oh, and you could just add a controller bypass contactor to increase the amperage on the hills. Luyuan said I could safely increase it to about 60 volts, and I have a total of 96 volts available if I use both the main and the auxiliary so it's no problem getting the 60 volts. I only need it for hills, otherwise I'm comfortable just lugging along. The newer models come with a boost button, so if it works I'll install this. The new E-Ride speed controller is capable to provide two speed ranges with our brushless motor. FWIW, a replacement Controller is about $60.00, so if I smoke it I can get another one. heh, that reminds me of the other EVT 60v mod. This would result in a 56% increase in power on the flat, provided the current limit isn't met. On the hills you might not get better performance because of the current limit. In that case a gearing change might help, or just open the controller and add some wire or something to the little shunt it uses to decrease the resistance and fool its current measurement. Hi all. My first post here but I've been watching for a bit. This thread looked as close as I could find to my question. I've put a few hundred miles on my Wilderness Energy 36v brushed kit. Fun, but I've come to the popular conclusion that more would be merrier. Lots of googling tells me the motor should be okay beyond 48v, which is my target. I have additional batteries but am looking for confidence. I have not been able to find one of these controllers opened up online. It's different from the one in this thread. I opened it up. There are six rectifiers on one side. They're almost completely hidden but those I can identify are irf3205's. There are definitely different markings on a couple of the others. Not sure if they're equivalent. The irf3205 datasheet says 55v operating. There's another hidden rectifierish thing on the other side but the package looks quite different. There are caps which I think I can just parallel for margin. ?? 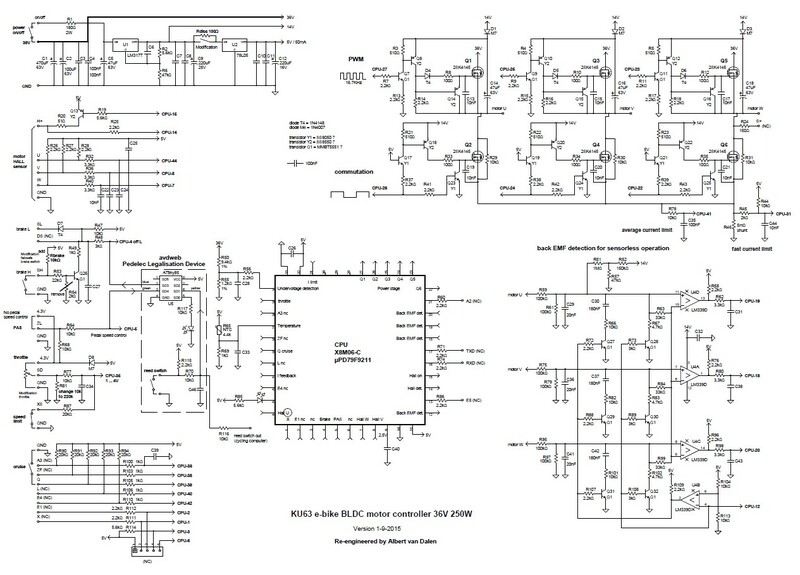 The regulator is a DIP KA3525A which fairchild rates for an absolute supply of 40v. This seems like a stumbling block. I considered ordering a Crystalyte but the brushed model is out of stock everywhere. I thought maybe some kind of resistor for the throttle to keep things ~36V, then a controller bypass for 48v direct? Don't know what parts would make that work without sparks though. Any thoughts for a guy on a budget? Here is what I did: Simple and useful. What are you looking to do. More current or more volts? I have not seen a controller that does not have at 12v extra voltage allowed over the rated. So if you are using say a 60 v controller, and some of the small lithium, just add a few to go to say 66 v.
You can modify them for more juice but by the time you are done you can just buy another controller. More current and volts make more heat. Depending upon what you have you might build yourself into a failure mode. Volts you can usually get away with. Amps is a another story. That is our firms biggest problems for corporate customers - getting more heat lattitude build into the controllers (or coming up with mods for after the fact) and fixing or redesigning for the total lack of cooling in the hub motors. I have redesigned the KU63 motor controller from BMSbattery. Here is the schematic, maybe it is usefull for you. Don’t use the image above, download the circuit high definition pdf file here. Altough the MOSFETs on resistance is 10mohm you can use better MOSFETs to improve the motor controller efficiency. You can't just increase the voltage. The whole circuit has to be redesigned and changed. you could carefully study the possibilities, learn the technology involved, and turn a sleeper into a really fun ride, provided all parts have the guts to take the upgrade or replace the ones that dont, but there will be cost involved. Wow, this is an old thread. It dates back to the days just after the hacking of the old Voltage forum by Kosovo Albanian web-pirates, while the webmaster "Deck Officer" was AWOL, forcing us to abandon it and a lot of good information. I upgraded my e-max's to from 48 to 60 volts. The controller had four capacitors in the traction power circuit that needed to be upgraded to a higher voltage rating, but that was the only change needed. I also modified the shunt resistor in order to raise the maximum current from 70 to 100 amps for greatly improved acceleration and hill climbing. Of course motor amps are much higher than this in low speed high torque situations. But the FET pairs are good for 180 amps continuous on, and something like 400 amps for short bursts. does it matter the amount of amps the add on batteries have.. For eg one may have 350 amps the next 800 amps while the originals maybe 15 amps each. does this matter? Can I have chance to discuss a good BMS controller here,I'd like to post a good BMS system, from 16 cells to 24 cells can be adjustable, high discharge from 30A to 120A can adjustable, charging current can set up to 60A according to your charger rate, it is a perfect one BMS system, if you are interesting in this, I'd like to discuss with you through email, or you can send me an email directly, very appreciate your time here.